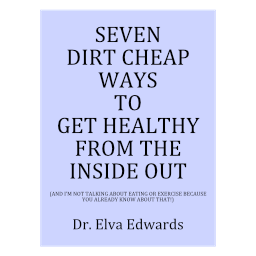 March 2015 – Dr. Elva Edwards, D.C.
One time a patient told me her little boy asked who the boss of the family was, the mom or the dad. We laughed. It can be confusing to a little guy. But, who is the boss of you, and better yet, who is the boss of your body? There is nothing more sacred than our body. A mother shares her body with her baby for a short time, but ultimately, after childhood, we are all on our own to decide how to treat our body. We decide how to feed our body and how to exercise it as well. Do we get adequate sleep? Do we meditate? Do we get manicures and pedicures? Do we let our hair grow long or grow a beard? Do we go to therapy or not? Do we repeat the lives of our parents or do we create a new way? We get to make all of the decisions. And when it comes to having problems with the body, we get to decide what kind of doctor we go see. Over the years, I’ve had people who were afraid to come to me. I tell them, they are in charge. If they don’t want me to do something, I won’t do it. Just be willing to speak up. I’m not that good at mind reading! Then we laugh! Sometimes when I suggest a patient needs to go to their medical doctor, they don’t want to. I ask why not? They are afraid of what they will do. I have to remind them that they won’t do anything without their permission. There is no need to be afraid. The need is to speak up. Be willing to pay for their expertise. You go to a lawyer and talk to them. You pay them and leave. You don’t leave with anything but information and you are happy to have the knowledge. Do the same thing with a doctor. Take your time. Most things are not a rush and you will know when it is necessary to take immediate action. Those things are usually the ones that send us to the ER. I remember going to a car dealership years ago and I told myself, “I will not buy anything today.” I will just look. You can make the same agreement with your body when you go see a doctor. I am writing about this topic because I have patients that have a great deal of resistance around going to the medical doctor. They do not want to go. But, just like a child who doesn’t want to go to school, sometime we must do what we don’t really want to do. You need a definitive diagnosis. Only then will treatment be determined. Most people don’t mind the testing. It is the treatment they fear. Speaking up will allow the treatment to be determined by you. Otherwise, you may leave feeling you got treatment you didn’t want. Don’t hope and pray your doctor will be able to read your mind. I really wouldn’t count on that. Instead, speak up and be ready and willing to be the CEO of your body!